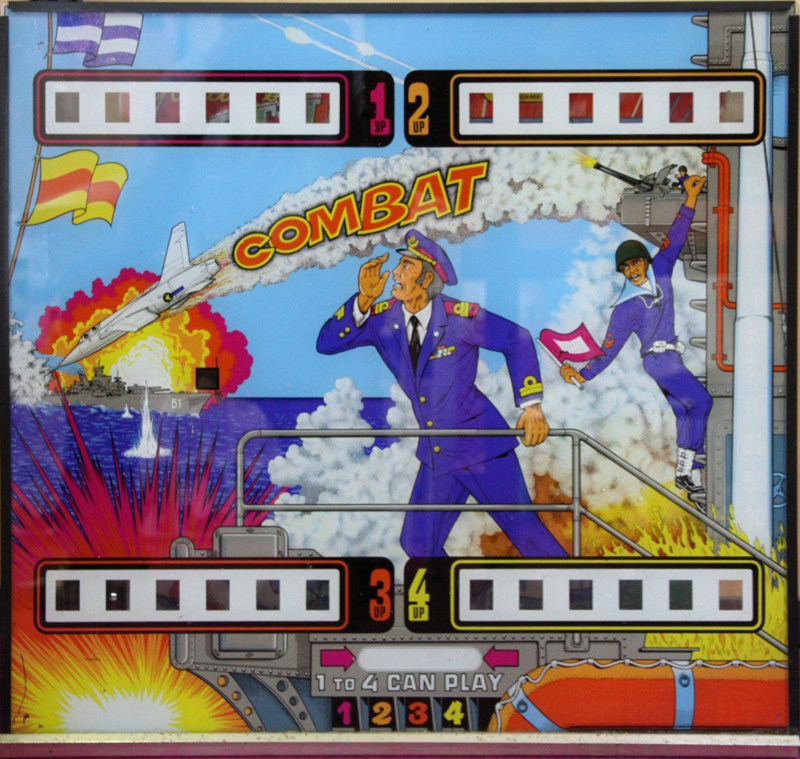 » Forum » Electro-Mechanical » EM Pinball Tech » Zaccaria Combat. Let's get this thing going. » Zaccaria Combat. Let's get this thing going. Zaccaria Combat. Let's get this thing going. Hey Guys, A few months back I picked up a Zaccaria Combat. I haven't had any chance to really start working on it other than replacing all the rubbers. The game won't start, and I am seeking a little help on where to start looking. When I plug the machine in and give it a credit, the reset relay energizes and stays energized. This causes the reset motor to continuously spin. It is a 4 player game, and all of my score reels read 0. Any thoughts of where to start looking? 1. Power on the machine and give it one credit, the motor spins 1/2 revolution. The reset relay does NOT energize. Give the machine a second credit, the reset relay energizes and motor spins continuously. 2. Power on the machine and give it one credit. the motor spins 1/2 revolution. The reset relay does NOT energize. Press the game start button and the reset relay energizes and motor spins continuously. Following. Got one to drag out too. Good luck. I am very curious to see how this turns out. Since it is an EM, I would start with the simple things. First, got schematic (can you read eye-talian)? From what you are describing, the start-up sequence is not finishing. Soooooo... score reels. Clean and adjust contacts. I don't know if these games operate like Gottliebs, Bally's, or Williams games. However many times, simply tightening down the switch stacks you will be able to get them to adjust as they should. The good thing is, you live in the desert. That means these stacks haven't been swelling and shrinking with temperature and humidity. Once you've done everything that you can with the switch tags on the score reels I would go through the switch stacks and well, everything and make sure that they are snug and tight. This goes for the relays in the bottom of the game as well as the mechanisms underneath the playfield. Sometimes just cleaning the connectors that go between the lower and the upper play field will make a big difference as well. Doing this will be good for the game anyways. So you might as well do it. Many times games get more messed up by readjusting switches than anything else. So what I would do is make sure everything is tight first and then start adjusting switches. Do not adjust switch stacks on the brain of the game, you know the part that spinning. As a single adjustment on the switch there can lead to major changes to the entire logic of the game. Once again, schematics. I would search the forum here as well as on rec games Pinball for any specific information about working on Zach electromechanical games. I was able to find some information about the schematics here :https://www.ipdb.org/machine.cgi?id=3609 print them up and learn how to read that map! I have never played combat before, so selfishly I am wishing you a speedy restoration so I can stop by and play it. I should be down there in a few weeks and I will definitely be around for turkey day to see the family. There are some great explanations of features and play here. I love my Combat ....good luck with it.